Teachers, WE LOVE YOU! 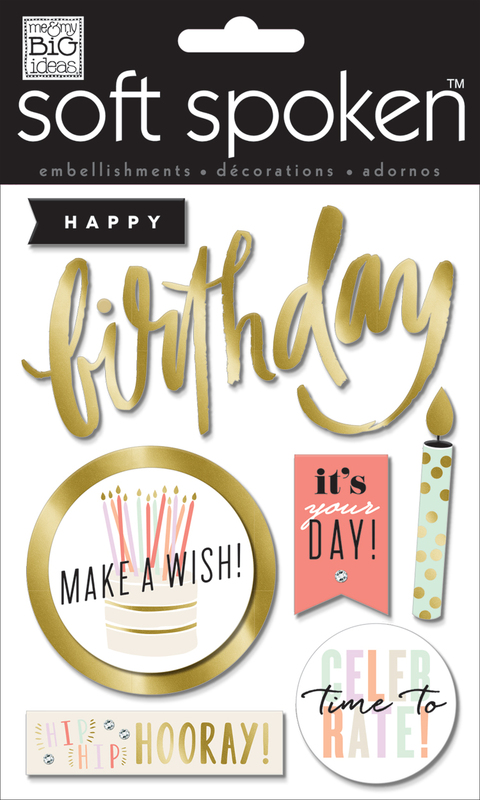 We want to shower you with planners, functional & pretty embellishments, and gifts to let you know you are appreciated. Today we're sharing the way mambi Design Member Mary-Ann Maldonado adorned the gifts to her son's teachers using one of our new Expandable Paper Pads and gift tags decorated with some of our school-themed embellishments. "It is never too late to give a teacher a gift for Teacher Appreciation week. If my boy didn't have two main teachers, I might have been willing to part with my new Happy Planner™ Teacher Planner, but instead (a week late) I had my boy pick his own teacher gifts and I took on the project of wrapping them. 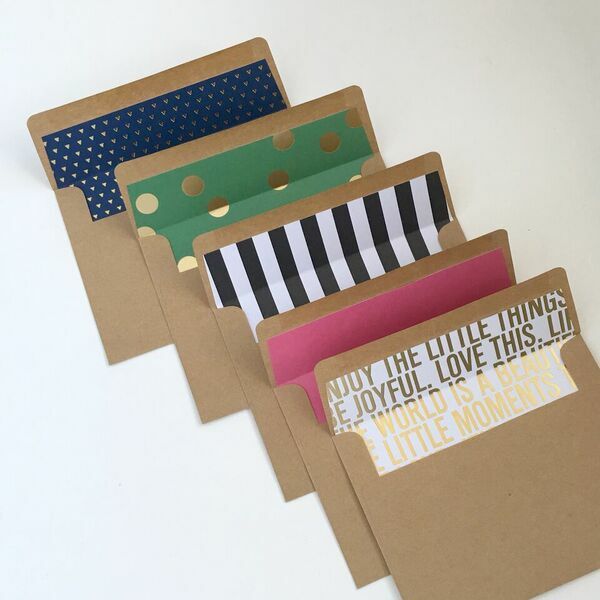 Simple gifts can be taken to the next level with pretty papers and tags. I started by grabbing my supplies to pretty up the small teacher gifts. I used pretty washi to close my wrapping, and I love the black on pink! I created tags for each teacher using mambiCHIPS and SOFT SPOKEN™ stickers. I applied these to random pink tags after attaching doilies. Gift-giving can be really fun, and taking it to the next level doesn't have to take that much extra time. When you start with pretty mambiSHEETS Expandable Paper Pads the job is even easier!" Shop supplies Mary-Ann used for these gifts and tag by clicking on the items below. 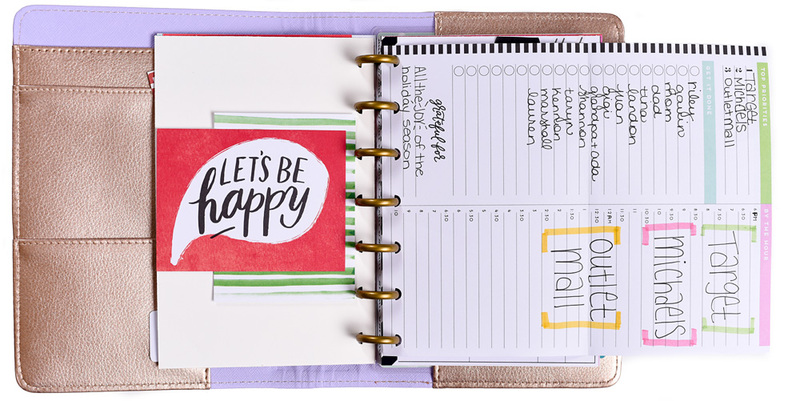 What do you get when you combine a fun pattern from one of our new Expandable Paper Pads, an inspirational message from a new Happy Planner™ sticker pack, and layer it all with a POCKET PACGES™ card? You get the most adorable package - gift-wrapped and ready to be delivered - like the watermelon one we're sharing today by mambi Design Team member Heather Adams (blog | IG). "With the recent release of the expandable paper pads, I now want to wrap all sorts of gifts for my friends. Needless to say, I was super happy when I actually had a gift that needed wrapping! I used the beautiful watermelon pattern from the 'Sketchbook' pad to wrap the gift. I wrapped some ribbon and twine around the box and then I decorated the top of the gift with a couple of layered POCKET PAGES™ cards. 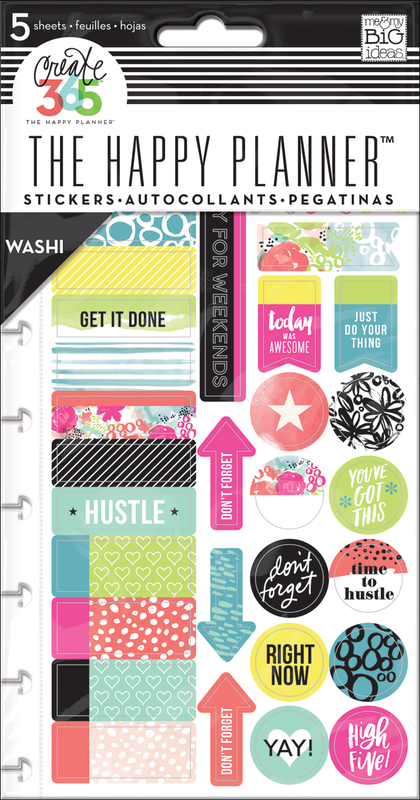 After I had picked out the cards, I added some stickers from the new planner sticker packs (who says planner stickers have to ONLY be used in planners?). The texture of the 'Live Loud' washi stickers was perfect, and I love that you can tear the washi stickers like true washi tape! I used a printed binder clip from the "Live Loud" set to hold the journaling cards together, and then I adhered the card to the box with some foam adhesive so that it would pop off the gift a bit more. I hope this inspires you to add a bit of decoration to your next gift -- it doesn't have to be super complicated or fancy. Sometimes it's the simple things that make life special!" 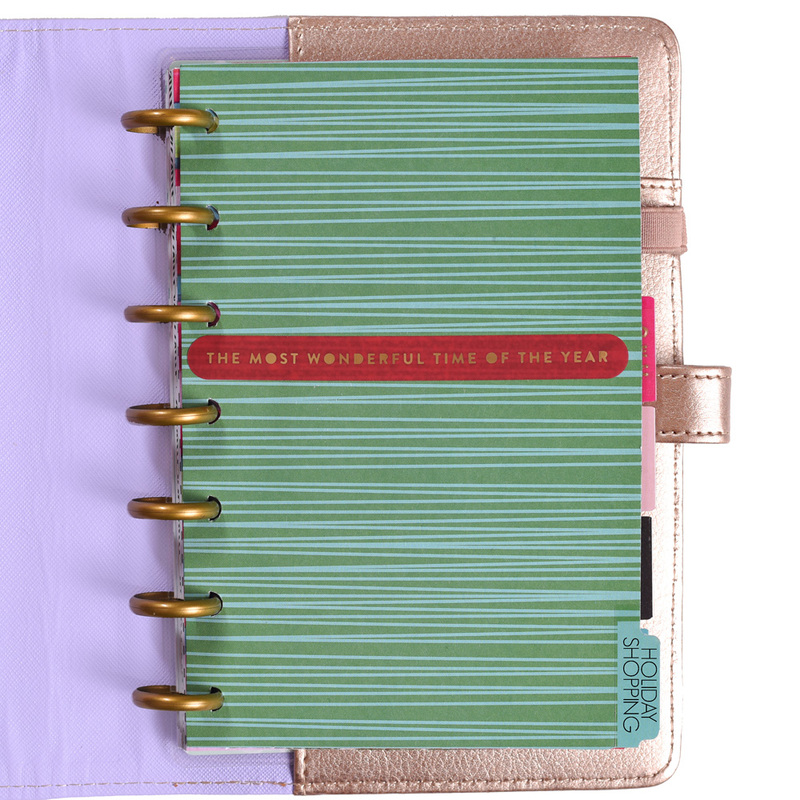 Let's create beautiful stationery with positive statements and gold foil treatment, shall we? That's what mambi Design Team member Janna Wilson did with our two Frame & Craft Elements Pads and some craft envelopes from Hobby Lobby. 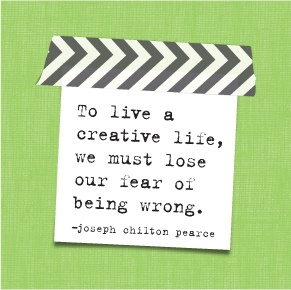 "One of my absolute favorite products to craft with is the me & my BIG ideas Frame & Craft Elements pads. So many possibilities and all that shiny gold foil! 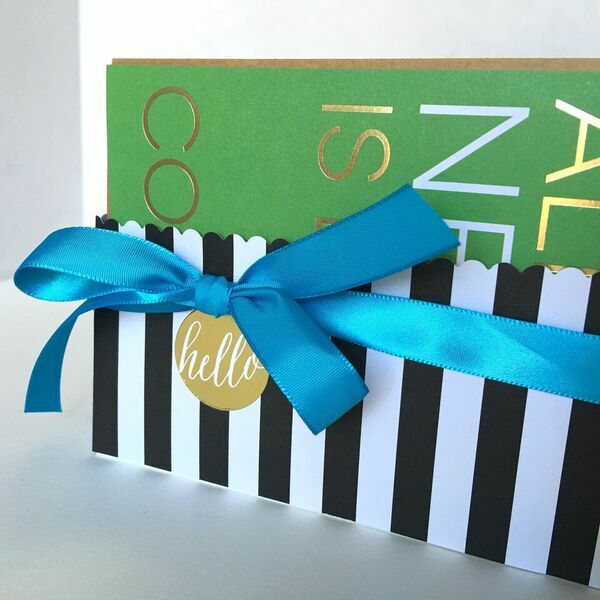 I thought it would be fun to create a giftable Kate Spade-inspired boxed set of stationery with these brights, stripes and the luxury gold foil accents and quotes. I ended up loving the cards so much, I'm not sure I can give the boxed set as a gift! My set includes eight cards with kraft envelopes that have matching envelope liners. The pre-printed quotes make the cards so easy!" Cut 4 sheets of 110 lb. white cardstock in half to create eight cards that are 5.5" x 11" - score 4.25" from short edge and fold in half to create the folded note card. Trim favorite quotes and patterns from the pad and kit papers and cut into 4.25" x 5.5" pieces and adhere to card fronts. Some of these are 4' x 6" pieces so just add a strip of a complementary pattern to create the finished look. 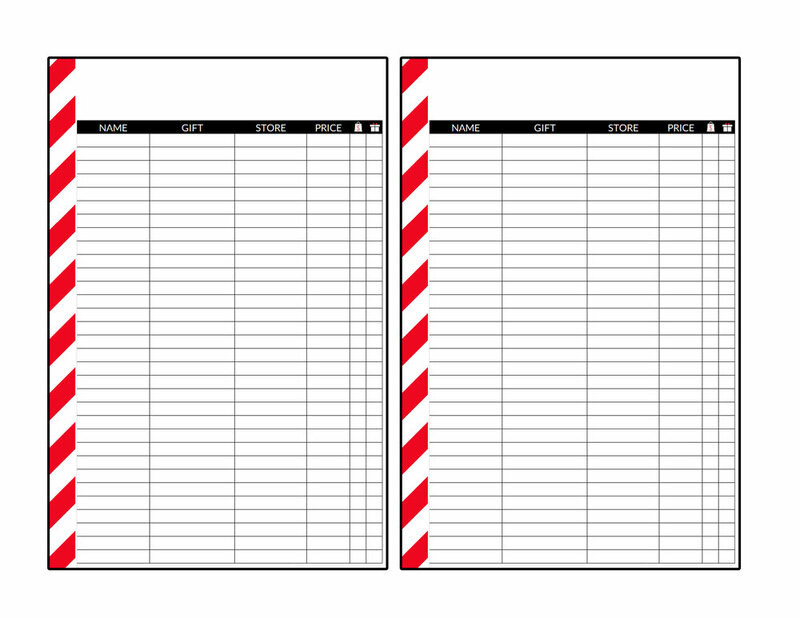 Cut cardstock to 7" x 10.75" and score as shown in photo (2.5" from all outer edges). This leaves the "foot" of the box (or the rectangle in the middle) about 2" x 5.75". Fold flaps upward and trim off about 1/2" of the outer end flaps as shown in photo. Fold middle flap in first, then follow with remaining flaps. Secure with adhesive. Cut 2 strips of paper 2.75" x 9" to cover the outside of the box. Add a sticker and ribbon for a finishing touch. Cut envelope liners from contrasting and complementary paper patterns - 3" x 5.5"
You can cut the 1" flap ends just at a slight angle to match that of the envelope - but that's optional (I just eyeball this part). Glue or tack into place with adhesive. 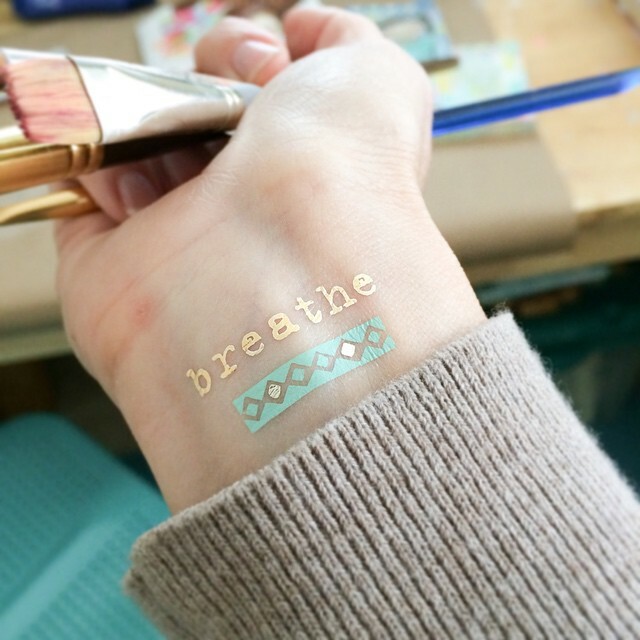 Fancy Tats™ Metallic Tattoos are now in the shop! 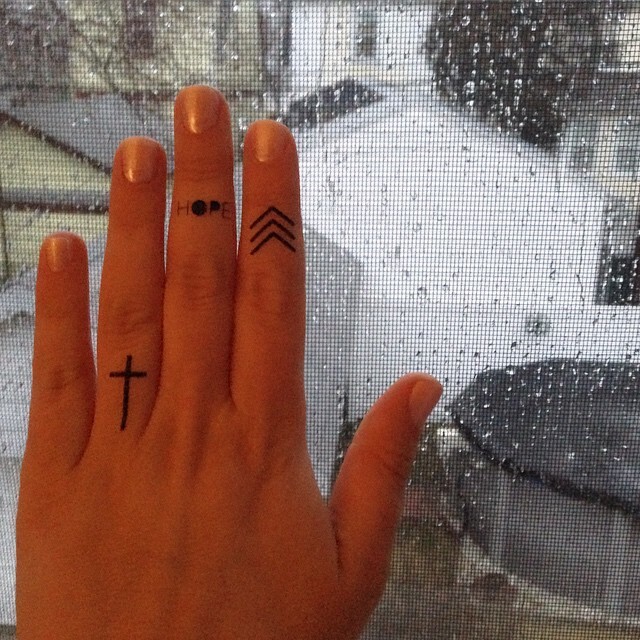 The mambi Design Team has got their hands on our new Fancy Tats™ Metallic Tattoos, and now SO CAN YOU! The six different packs of designs are now available in our shop. Below are some of the ways the girls have been using their fancy tats™. "I wanted to add a special creative touch to each present so I made several tags. 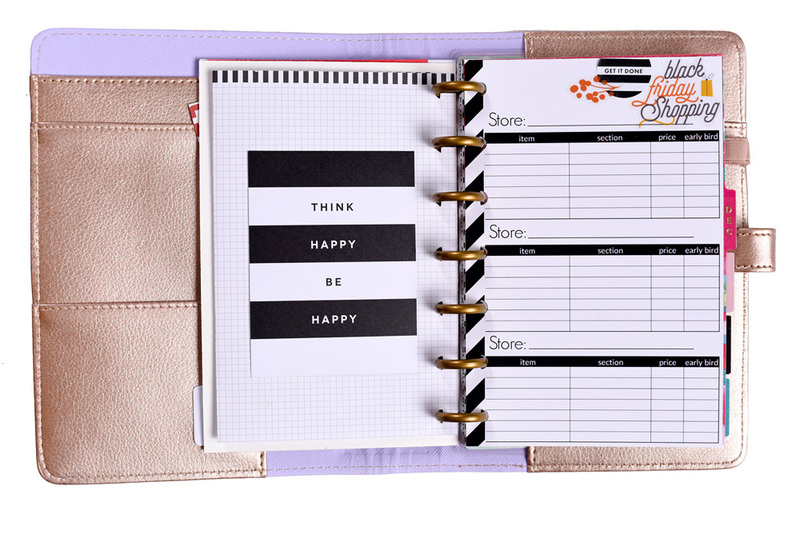 All you need to do is grab some manilla tags at your local office supply store, tulle, and some merry mambi goodies!" The 'merry mambi goodies' Candi grabbed are those you see above, along with a new set of puffy mambiSTICKS and holiday chipboard stickers that you can find at your local Hobby Lobby or Michael's. We love how simple these are to make with the festive mambi supplies, but also how the special details like the tulle tag tie and the red-colored edges add to the punch of this project. These would also make great pages or dividers in a December mini album! Happy holiday crafting! Christmas is coming in HOT, and so are the kids' last days of school before holiday vacation! Design team member April Orr is sharing her Christmas gift bag projects that her boys are giving their teachers this year. "I found these black chalkboard bags at Hobby Lobby and they were the perfect backdrop for my son Tyson's personalized Christmas Tree artwork. I added some me & my BIG ideas tags (found in the 'All That Glitters' mambiSHEETS paper pad) at the top with glitter letter sticker to finish them off." Whether their last day of school is tomorrow or early next week, these gift bags are a unique and easy way to present your child's teacher(s) with a token of appreciation for the holidays.